Westland Garden Health Top Soil 20ltr Bag is specially selected & graded for re-invigorating existing depleted garden soil, ideal for lawn preparation & levelling or bulking up borders, large pots or containers or for simply digging into beds as a soil improver. 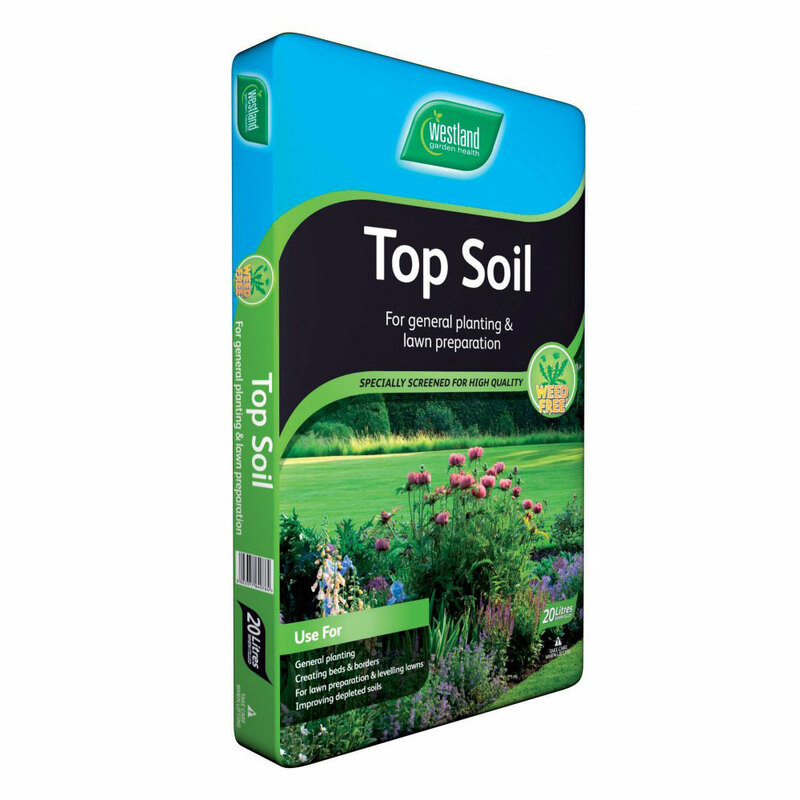 Specially sterilised and screened top soil ensuring no weeds, perfect for adding nutrients, replacing old tired top soil or suitable for mixing and bulking up compost. 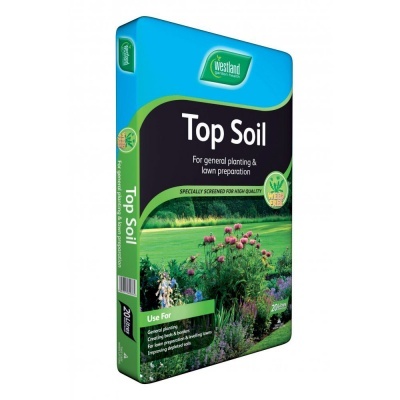 Westland recommend sterilised Top Soil for lawn preparation or general garden planting.